Native method indicate that it is implemented in native code using JNI (Java Native Interface). JNI is basically the way you can write code accessible from Java in C/C++. This is usually done for different reasons, performance could be one of them. The advantages of writing native code are mainly performance, better code obfuscation and the possibility to access low level functionality. Disadvantages are lack of portability and higher security risk. Native methods are therefore excellent candidates from an attacker's perspective if they handle user's input. 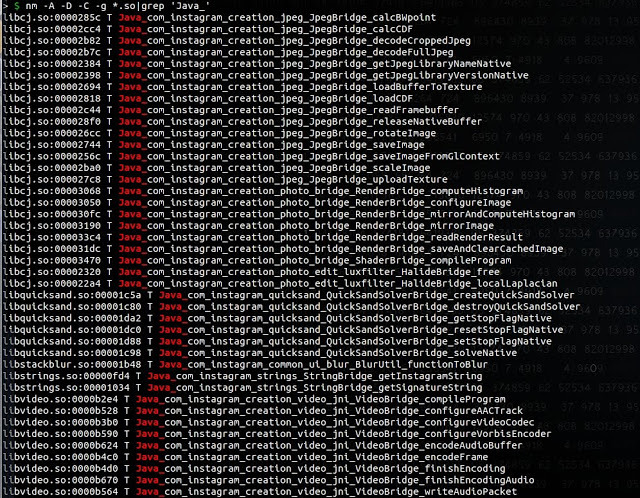 In the example of the Instagram app, native methods are used to handle images and videos and are therefore potentially vulnerable to memory corruption errors. Reversing and Fuzzing of JNI seems to be an under-researched subject, despite it's important role for Android Mobile Applications. 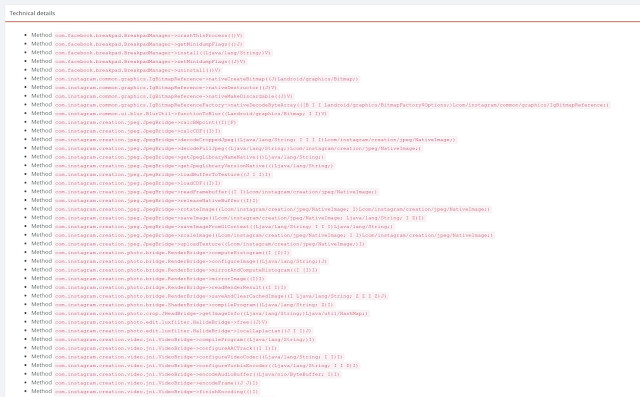 Let's get back to our Facebook crashThisProcess method, how can we find the method implementation ? After checking in the libs symbols by searching for the string Java_ we could not find any method named crashThisProcess. We can see that the function writes 0x2A to memory address 0x000000, which will segfault the process. 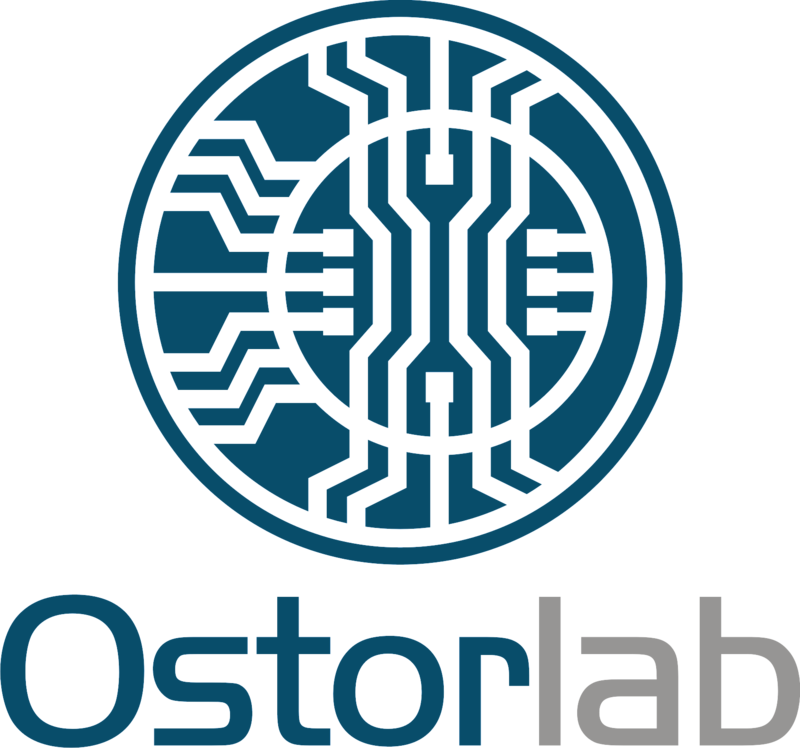 Ostorlab Mobile Application Security Scanner will list these methods automatically in the upcoming versions.